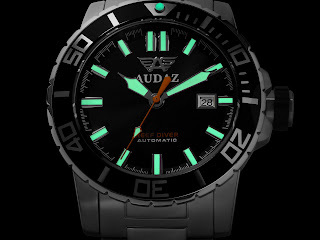 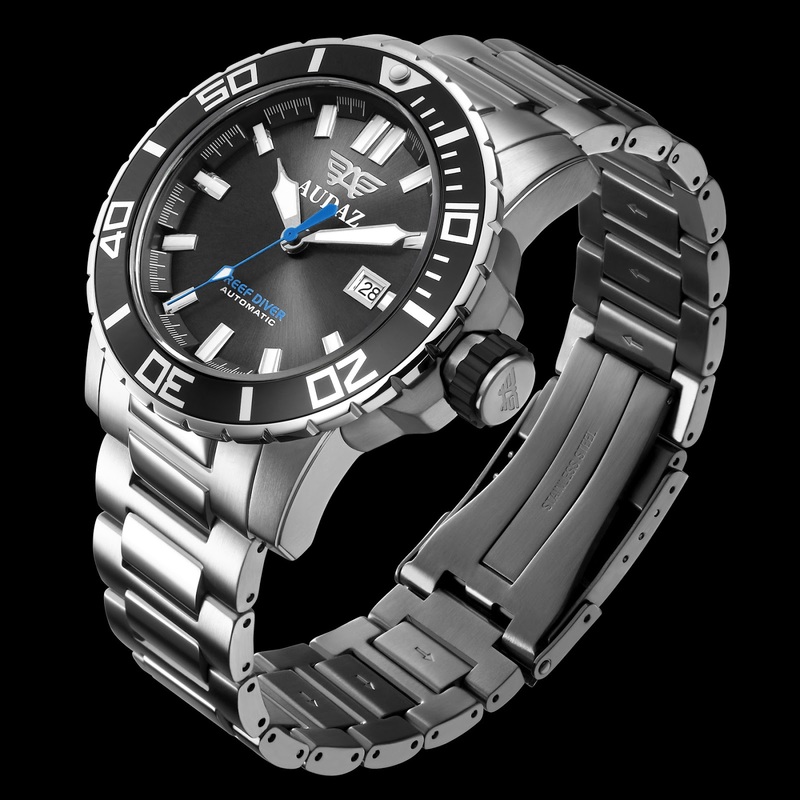 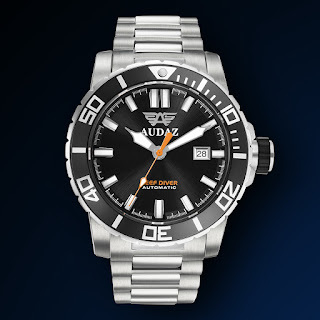 Audaz have stepped things up a notch or two with the release of their second diver’s model, the Reef Diver which has already been fully funded in a matter of hours on its Kickstarter campaign. its bright SL3 lume, thick scratch-resistant Sapphire crystal and the choice of Swiss made ETA2824 or Japanese made NH35A automatic movements, it is more than just a pretty face. 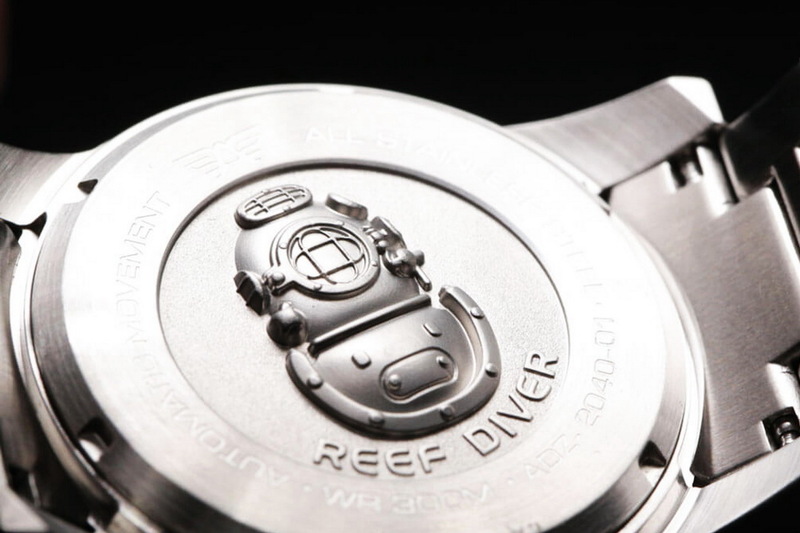 The Reef Diver’s 45mm in diameter by 15.2mm thick case has been made from 316L Stainless steel and is fitted with a unidirectional diver’s bezel, an automatic HEV as well as a screw-down caseback and crown. The case-back has a large engraved old school diver’s helmet on the back. Yes, it’s a bit of cliché but you can’t really go wrong with one – and it’s always more impressive than a simple text / logo engraving. 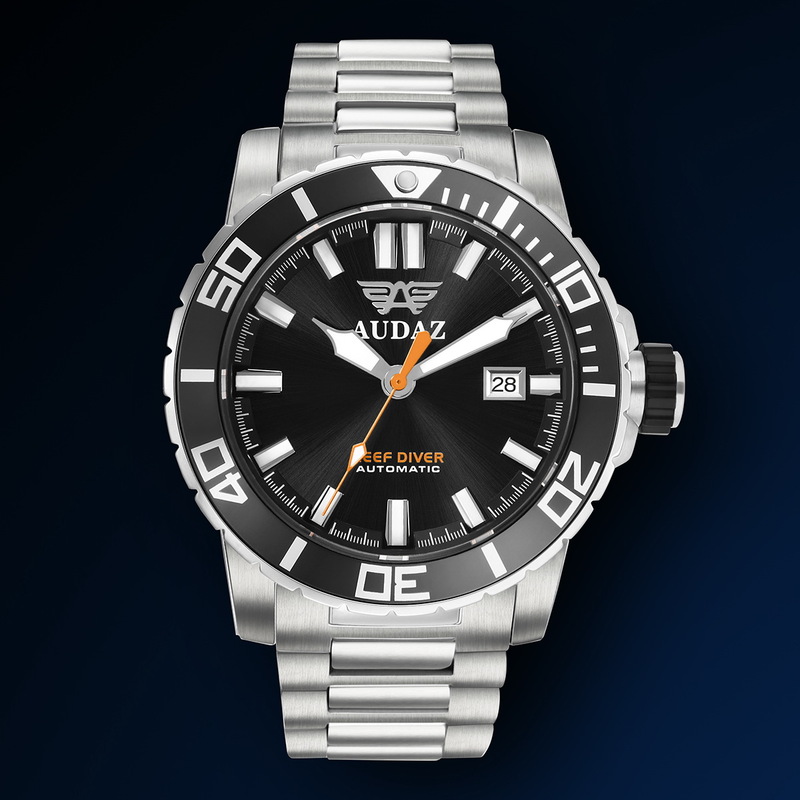 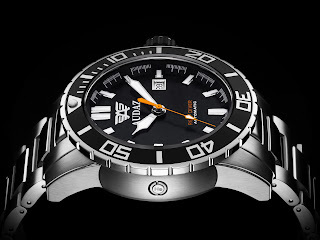 The Reef Diver is being offered in three different color variants: black sunray dial and bezel with orange seconds and text, blue sunray dial and bezel with yellow seconds and text or grey sunray dial and black bezel with blue seconds and text. So what are your thoughts? 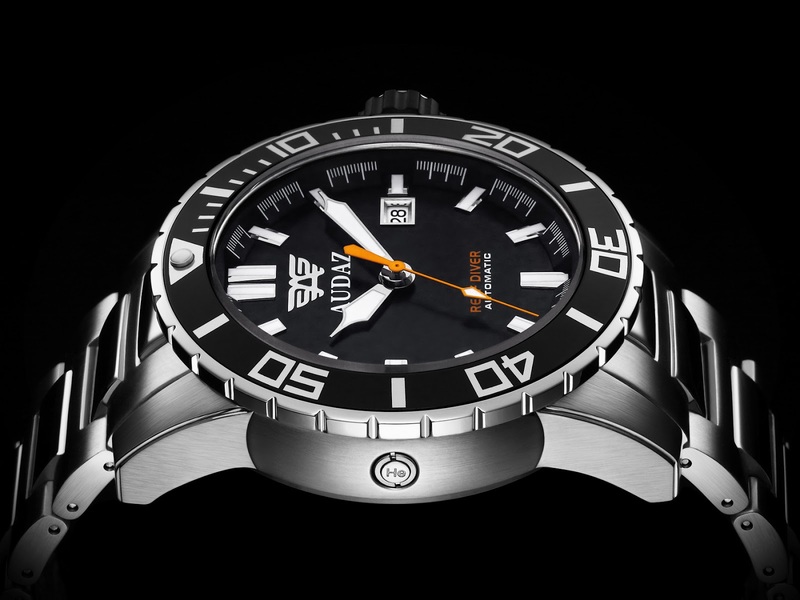 The jury is out on the size of brand logo on the dial – I think something a little less bold might be in order for a future model, but I’m lovin’ the color-coded seconds hand and dial text especially the orange on black. Retails Prices are as follows: Reef Diver 300m with Seiko NH35A Automatic Movement 420USD, Reef Diver 300m with Swiss ETA2824 Automatic Movement 680USD. You can follow the link above see the Reef Diver’s presentation on their Kickstarter campaign page or the one embedded, below to do directly to the Audaz website where more details on the Reef Diver can be found.